I have seen it in several amazing experiments on Youtube and decided to make one myself. 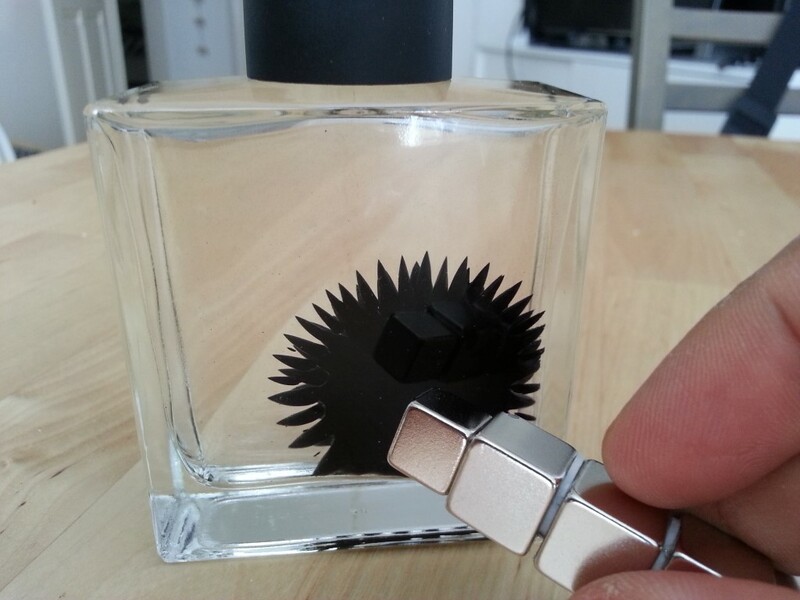 I bought the Ferrofluid and the magnets online through this very cool Swiss store, although there are many tutorials online that explain how to make your own. 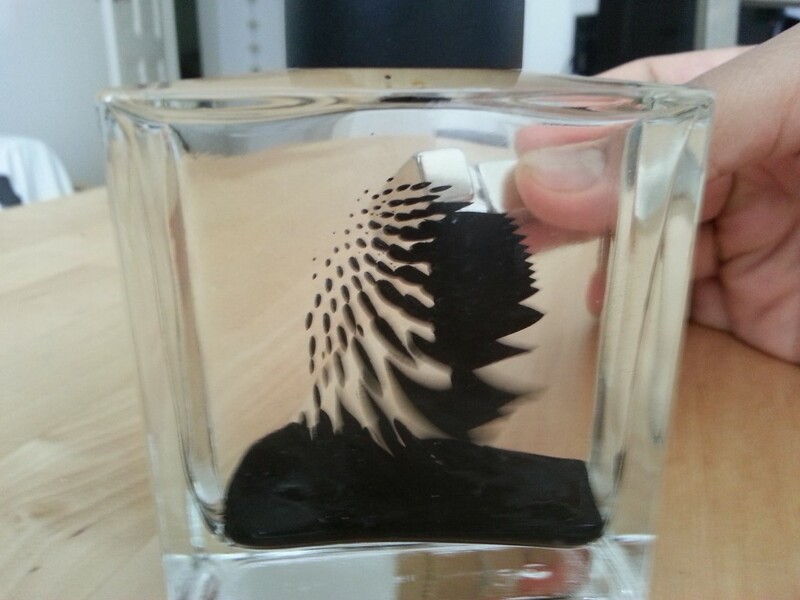 The trickiest part is finding a suspension liquid, since Ferrofluid stains everything it touches, if you put it in a bottle just by itself, it will stain the glass and you won’t be able to see anything, this is why the bottle has to be filled with another liquid where the Ferrofluid will be “suspended” in. Filling the bottle with only a windows cleaning liquid gave me the best results, the glass was not stained, ferrofluid kept it’s shape and I was able to see all the cool effects since it’s a clear liquid. 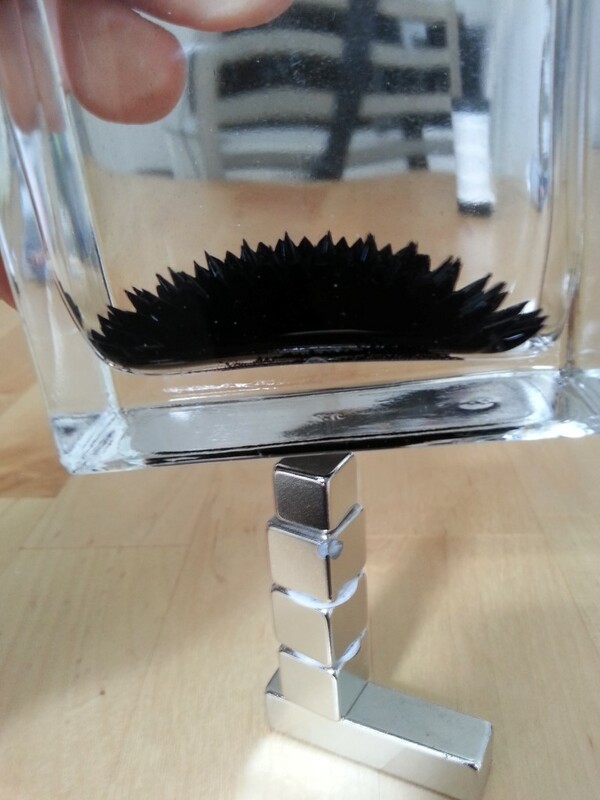 It has been more than 24 hours so far and the ferrofluid is still looking good in the bottle. The choice of the bottle is very important, as it must be a good quality glass and squared (never rounded), otherwise you will not be able to see the ferrofluid effects due to refraction. Hiya, had a great time reading through this post. I was just wondering what brand of window cleaner you used and if it has an ingredient or active chemicals list? Also did it last long without staining? You mentioned it lasted 24 hours but what was it like in the long term? I used a generic window cleaner, the store’s brand. I unfortunately don’t have the ingredients now, but I will try to look it up next time I go to the store. It’s lasting long, it’s been over a year now and the bottle is still good. 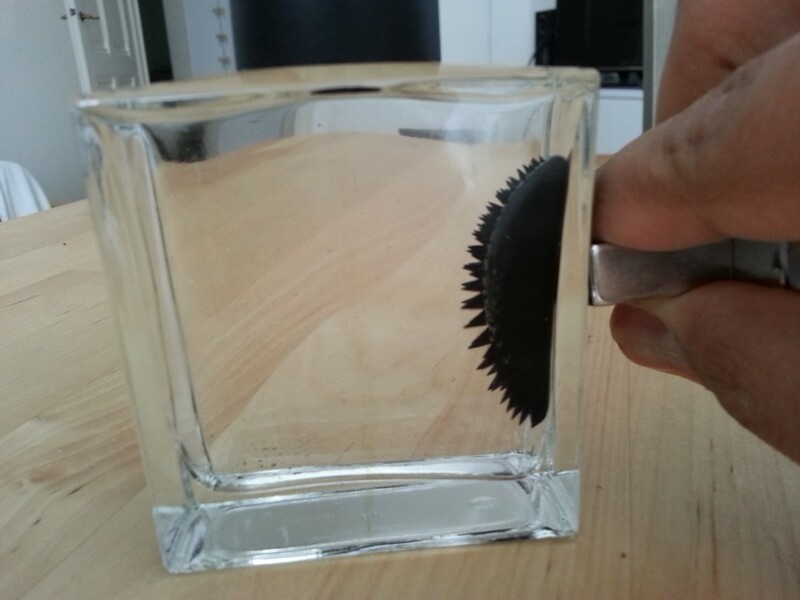 The ferrofluid though is not as viscous as before and has weaker ‘spikes’, but it works relatively well.